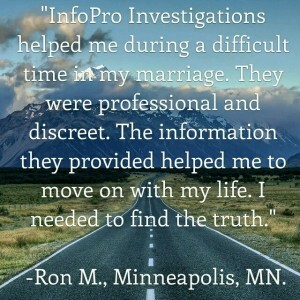 “InfoPro Investigations helped me during a difficult time in my marriage. They were professional and discreet. The information they provided helped me to move on with my life. 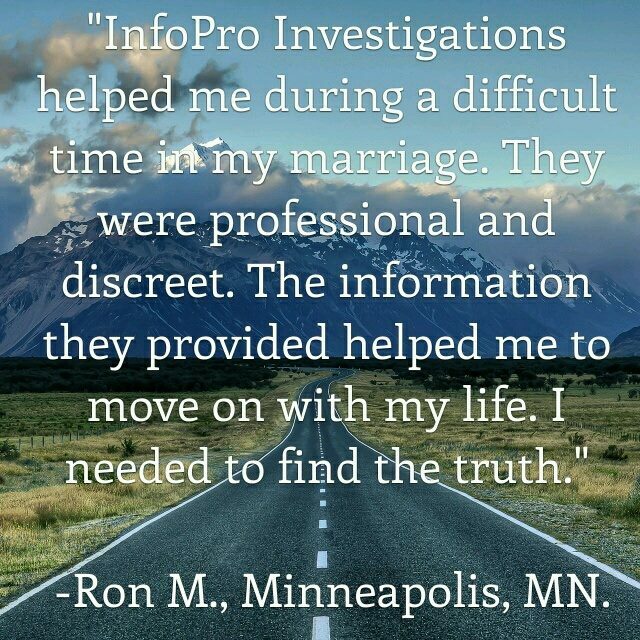 I needed to find the truth.” -Ron M., Minneapolis, MN.